It's a great album, but this pressing is not very good. It's nowhere near quiet, with the noise being extremely obvious between tracks. My copy also features a variety of pops present on all sides but worst on A. From my amateur opinion, it is well mixed though. The inside out cut is pretty neat as well. In summary, it's a great album, but I would suggest trying one of the other pressings over this one. So is this the “retail” variant? Like if you buy it from Amazon, it’ll be this one? Absolutely terrible packaging. The wooden box is so cheap and it got spikes ready to stab you. The red velvet inside the box is so sloppily applied that it's coming off the box already. The sound quality of the headphones is worse than that of a dollor earbuds. The box is too big for what it contains. Simply the worst limited box package in my years of collecting music. The album is amazing nonetheless. - Basic Needs and Gender had demo versions surfacing over the internet. The tracks feature a lot of influence from music from India/East and is way more mellow than Korn. This should not be listed under metal, alternative rock is more like it. Still if you like Korn you'd probably like it. 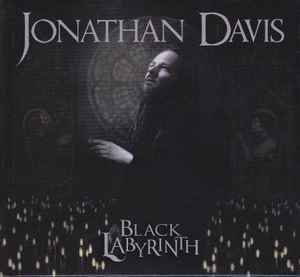 - It has that same tormented feeling Jonathan puts in his voice and lyrics. - The music also has multiple layers. All and all a great album and a must-have for every Korn-fan or other tormented soul.